As your One -Year Seasonal Trial Membership has ended, WMSPA requires that you become an equity stockholder (as long as stocks are available). 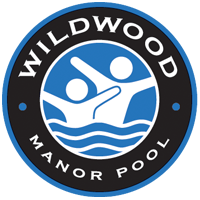 If you are planning to join the pool this summer and become a stockholder member of the pool, you will need to let us know and reserve a membership spot in writing by Sunday, March 5, 2017. You will then be responsible for payment of the Seasonal Membership dues, which must be paid on or before May 1st. Due to our large waitlist, this is a firm deadline meaning that if dues are not paid by this date, your account will be closed and the membership will be given to the next person on the waitlist. Once you are notified that a stock has become available, you will need to pay the Initiation/Stock fee of $715 (i.e., non-refundable initiation fee of $700 plus the purchase of a share of stock for $15), which amount is in addition to the equity membership dues. The one-time Initiation/Stock fee can be paid in one payment or you can split the fee into three annual partial payments as follows: $238 in 2017 (due within two weeks of notification), $238 in 2018 and $239 in 2019 (and note you will not officially be a stockholder until the last payment has been made). The annual membership pool dues for 2017 are $600 per family, $355 per single/individual, and $290 per senior accounts. Your Seasonal membership dues will be converted to the equity membership dues plan, and you will receive a pre-season credit for the difference in price. For Seasonal dues, the difference will be a credit of $95 for families; $45 for singles; and $20 for seniors. If you have not been notified by June 11th that there is an Equity Stock Membership available, you will be able to continue to use the pool with the continuing expectation that you will convert to an Equity Stock Membership as soon as one becomes available. Until an Equity Stock Membership is available and offered to you, you will not be obligated to pay the initiation/stock fee. If you decline the offer of an Equity Stock Membership, your account will be immediately closed, you will not be permitted to use the facilities, and any seasonal fees will be prorated from the date of the pool opening and the difference refunded to you in addition to any classes or other fees. If you want to return in the future, you will need to pay a new $75 waitlist application fee, and your name will be put at the bottom of the Equity waitlist and you will have to pay the Initiation/Stock fee before being able to use the pool facilities.